Versatool™ takes the hard work out of keeping your garden neat and tidy. With its quiet, cost effective and powerful 4-stroke engine, its seven quality attachments, two extensions and innovative push and click joint locking system, Versatool™ is every garden tool you’ll ever need to keep your garden looking rosy. As its name suggests, Versatool™ is conveniently adaptable to a wide variety of garden jobs. 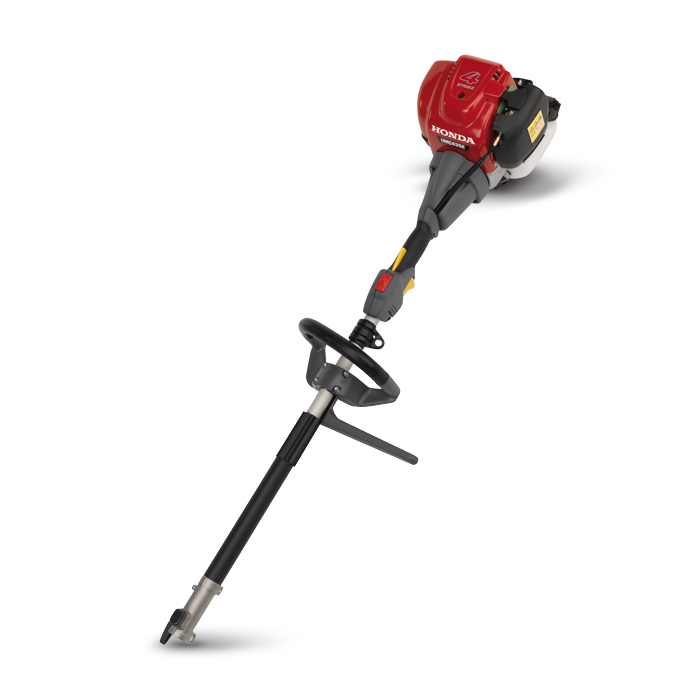 It has a powerful 4-stroke engine, a choice of two extensions and seven handy attachments, including a linecutter, leaf blower, edger, cultivator, pruner, and a short and a long hedge trimmer. It’s ergonomically designed to be comfortable when used for long stretches and comes with its own harness. 4-stroke engine - With minimum noise, vibration and emissions it’s easy to see why the tenaciously powerful 4-stroke engine technology is better than a traditional 2-stroke engine. Plus it’s easy to start, and simple and clean to refuel with regular unleaded petrol - there’s no need to mix oil and petrol. Innovative push and click joint locking system - Versatool’s joint locking system has been designed for minimum effort and maximum simplicity. There’s no fiddly lining up of the attachments, simply push and click to lock your preferred tool securely in place. Attachments - The wide range of interchangeable attachments including a linecutter, leaf blower, edger, cultivator, pruner and a short and long hedge trimmer mean Versatool™ is effectively seven tools in one. Which makes it just as cost effective as it is practical. Storage - All the attachments come with a handy hook to allow you to tidily hang them out of the way and prevent damage. Durability - The push and click joint system is not only easy and safe to use, but because it’s made from hard resin it’s wear resistant too. So you can change attachments as much as you need without worrying about wear and tear.